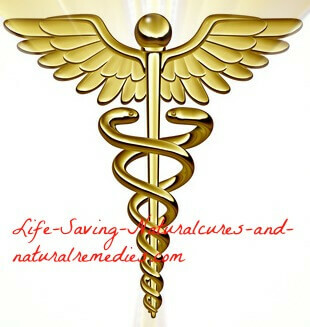 Hello all at life-saving natural cures and remedies. Firstly, thank you for your fantastic and informative website. You've helped me and my children with many different health problems, particularly my rosacea, and I'm eternally grateful. I'm wondering if you can help me and my youngest son with a skin infection? Both of us have been infected with what looks to be like ringworm (according to Dr Google). I know it's contagious so I want to be able to get rid of it before my other children become infected. Do you have any natural remedies or treatments that we can use? I refuse to resort to using pharmaceuticals. Thankfully, getting rid of ringworm (and getting rid of it fast) is easy when using a few tried and tested home remedies. Home Remedy for Ringworm #1... Apple Cider Vinegar (ACV): Apple cider vinegar works a treat for ringworm. It contains some of the most potent antibacterial, anti-inflammatory and anti-fungal properties known to man. The natural acids and probiotics contained in ACV also help to treat and eradicate fungal infections. All you need do is dip a cotton bud or Q-tip in some raw unfiltered ACV (like this one) and apply directly to the infection. Be aware that this will probably sting a little at first, but it doesn't last for very long. You can also make up an ACV spray and use this to apply to the infected areas. If the skin is broken, dilute the apple cider vinegar with water (50/50 solution) first then apply. Applying straight ACV on broken skin will sting like crazy! Continue to apply the apple cider vinegar frequently throughout the day (4-5 times), especially before bedtime, and try to leave it on for as long as possible before washing off. Expect to see positive results within 24-48 hours. In addition to this, you should also drink the ACV every day to kill any fungal infections from the inside out. Harmful fungus don't just live externally on the skin, they also reside in your body. If you regularly suffer from yeast infections, thrush or candida albicans then this is a dead give away. Add two tablespoons (30 ml's) of Bragg's ACV (the best) to a glass of warm filtered water and drink down. Do this twice daily, first thing in the morning and last thing at night on an empty stomach. to one teaspoon of a carrier oil is the recommend amount. You can also take oregano oil internally for extra benefit (make sure the oregano oil you purchase is fit for internal use). 4 drops of oregano oil to one teaspoon of olive oil or coconut oil consumed once daily is recommended. How to Get Rid of Ringworm Remedy #3... Tea Tree Oil: Yet another natural extract that contains powerful anti-fungal and anti-inflammatory properties. Tea tree oil works for all 3 types of ringworm and doesn't burn, so it's ideal for kids (unfortunately, kids don't always make the best patients). Apply directly to the affected area with a cotton ball or Q-tip and leave on. Repeat 3-4 times throughout the day or whenever the itch returns for best results. You should see the infection clear within a few days. Home Remedy for Ringworm #4... Garlic: The exceptional anti-fungal properties contained in garlic make it a perfect remedy for ringworm. Slice up a clove of garlic nice and thin and either rub the juice directly on your ringworm/fungal infection or place a slice over the ringworm and cover with a band aid. Leave on for at least a few hours. Natural Treatment for Ringworm #5... Bleach: I'm not a fan of using bleach as it's not natural, however, if you find that nothing else is working and you're desperate, a little bleach can help. Dilute some liquid bleach in a clean glass or container with equal parts (50/50 solution) of bleach and water. Dip a cotton ball or Q-tip into the solution then gently dab on the infected area/ringworm, making sure to avoid the surrounding skin. Leave on for as long as possible. Continue to re-apply several times throughout the day, particularly before bedtime and first thing in the morning. How to Get Rid of Ringworm Remedy #6... Clear Nail Polish: Another "unnatural" remedy I'm not particularly fond of is using clear nail polish, however, it does work astonishingly well and fast, which is why I've included it here. Nail polish basically suffocates the fungus/infection that's responsible for ringworm. Clean the affected area first with either apple cider vinegar, hydrogen peroxide or tea tree oil then apply some clear nail polish directly to your ringworm. Do this 2-3 times throughout the day and the infection will be completely healed and gone within a couple of days. Home Remedy for Ringworm #7... Liquid Iodine: Iodine is a powerful antiseptic that kills fungal infections on contact, which is why it works so well for ringworm. Simply apply some of the 5% Lugols liquid iodine (here's what it looks like) directly on your ringworm infection(s) with a cotton ball or Q-tip several times throughout the day. This is another terrific remedy for children because doesn't sting when applied. 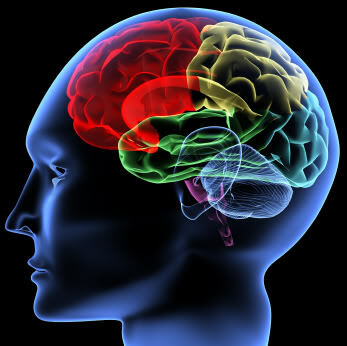 Lugols liquid iodine can also be safely applied to the scalp and genitalia (groin) area without causing any adverse effects. Natural Treatment for Ringworm #8... Absorbine Jr: I've saved the best one for last. This product is marketed as a pain relieving spray, and although it works extremely well for this, it's real power is in curing ringworm and tinea! Absorbine Jr (funny name I know), contains powerful fungal destroying ingredients such as menthol, wormwood, thymol, iodine and acetone. So rather than using oregano oil, clear nail polish or iodine, simply get yourself some of this spray instead. The success rate for curing ringworm with this product is close to 100% (yes, it really does work that well) (2). All you do is spray it directly on the infection, and that's it. Best of all, it works for skin, scalp and groin ringworm and is easy to use on the kids as it doesn't sting or irritate the skin. You can check it out here if you're interested... Absorbine Jr Plus. So hopefully these tips and remedies help you and your son out Becky. I'm sure you'll find something here that works. Wow! Wow! Wow! The asorbine jr really works! I tried for weeks on end to get rid of the ringworm on the back of my leg without success. After applying this stuff twice a day it was gone within the week. Love using home remedies! Thank you! You're most welcome Becky. Glad it helped!